Leaked specifications and features of the upcoming Samsung Galaxy C9 has spotted on AnTuTu, revealing the main specs of the phone featuring a full HD display, 64GB internal memory, 16MP rear camera and a 16MP front selfie shooter. It's a selfie phone though. 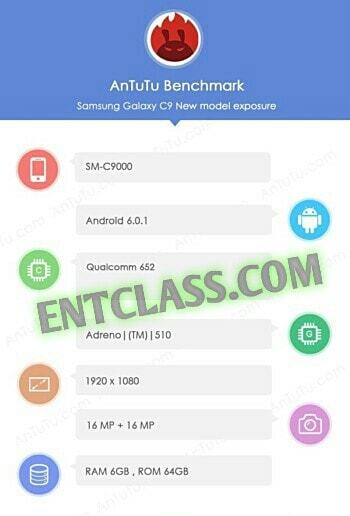 More of the leaks also reveals that, Galaxy C9 will be coming with a Snapdragon 652 SoC, 6GB of RAM, running on Android 6.0.1 marshmallow straight out of the box. 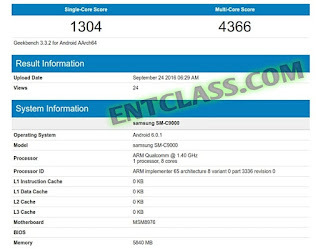 More of this specs was also revealed on Geekbench listing. 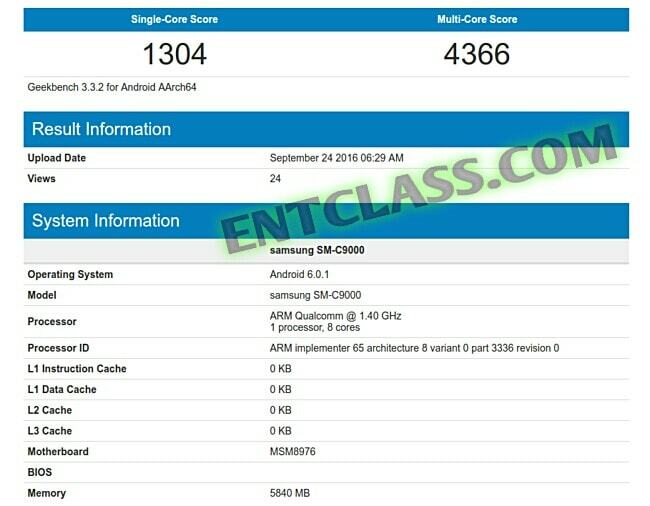 Geekbench revealed same specifications and features as AnTuTu did. Starting from it processor, RAM, OS and Internal memory. 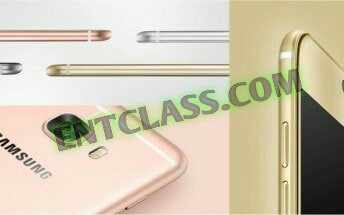 According to rumors, the smartphone will be launched between October and/or November, this year 2016. In case you missed, the phone has been twice spotted on India's import/export tracking website Zauba so far, revealing a 5.7-inch display on one occasion, and a screen size of 6.0-inch on the other. Oga kachi what set of phones would you reccomend ,if i av from 50-60k? Depends on what you need in a smartphone. I would have suggested you go for Infinix Note 2 LTE 2GB RAM variant. It's clear. Your tab is not an MTK. My Samsung tablet 4.4.2v is not an media teck . please help me how do I change my Samsung tablet that is not an media tek please help me. hellow sir I just changed the imei for my Samsung tablet thanks sir. but sir I just changed it to BB one 3567600511... and I subscribe for the N1000 No payg plan and they gave me 3072. but sir is not working. help To work sir. You should have told me that's what you wanted to do. Airtel N1000 plan doesn't work for everyone now.